Learn how to entertain and Mystify with baffling card tricks! 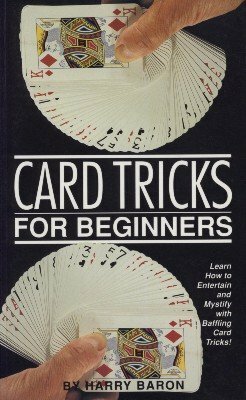 This ebook will teach you to baffle your friends with card tricks that you can learn quickly and easily. You will be taken into the mysterious and secret world of Magicdom and everything you need to know is contained within these pages. You will start with the simplest of tricks and slowly work your way forward with the more complex routines that require you to learn some simple sleights and subterfuges. But don't worry because everything is carefully explained and clearly illustrated. If you learn just a few of the magic tricks outlined in this ebook we guarantee that you will be the life and soul of the next party you attend. 1st edition 1993; original 121 pages; 77 pages.